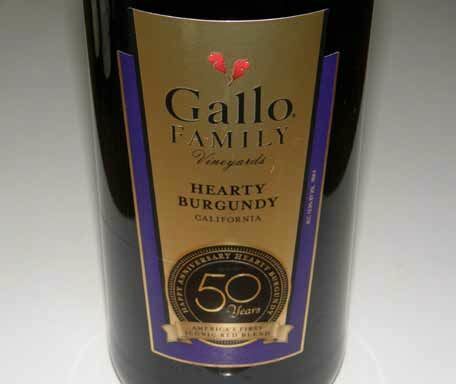 I have fond memories of Gallo Family Vineyards Hearty Burgundy as it was my deceased father’s favorite wine. It graced our dinner table at home on multiple occasions, and was a frequent accompaniment to pizza when we dined at his best-liked neighborhood Italian restaurant. A proprietary blend of consistent style and quality with each vintage, the wine was first released in 1964 and this year is celebrating its 50th Anniversary. Hearty Burgundy was a favorite of Ernest and Julio Gallo and has a colorful history. According to Elen Hawkes who published Blood & Wine: The Unauthorized Story of The Gallo Wine Empire in 1993, some Gallo winery executives were allowed to order cases of wine at no charge for their personal use, and Ernest Gallo noticed that those employees with the best palates requested robust red wines like Baberone and Burgundy Pastosos. Ernest realized that Gallo needed a more full-bodied red than was available in the Gallo portfolio that included such red wines as Paisano and Chianti, and that is when Julio and his winemakers came up with Hearty Burgundy. The Hearty Burgundy blend was produced by adding more wine from Napa and Sonoma varietals to the winery’s Central Valley production. The base was Petite Sirah, Zinfandel (Julio’s favorite grape), and Carignan. However, early on, although technically the wine was not Burgundy, the wine did contain Pinot Noir. Joe Rochioli, Jr., told me that he initially sold his estate Pinot Noir to Gallo as there was little market for Pinot Noir in the early 1970s and his grapes went into Hearty Burgundy. John Bacigalupi recalls that the bulk red wines processed from his grapes at Seghesio’s facility in Healdsburg in the late 1960s and early 1970s, were shipped for market to Gallo and undoubtedly went into Hearty Burgundy. Today, we shutter to think that the prized Pinot Noir grapes from Bacigalupi and Rochioli met their fate in Gallo’s mass-produced Hearty Burgundy. The exact blend of grapes in Hearty Burgundy has remained largely a trade secret and company policy prevents revealing the varieties of grapes used. Press releases in 2006 reported that the wine was a blend of Zinfandel, Tempranillo, Syrah, Petite Verdot, Grenache, and Cabernet Sauvignon. A current contribution from Pinot Noir is unclear, and unlikely, especially since Pinot Noir grapes are very expensive. expensive California and French reds reviewed by the Time’s panel of tasting experts. 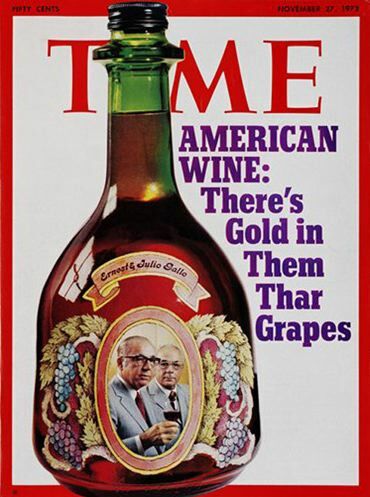 Americans quickly embraced the wine as a result, and it was largely responsible for bringing Americans to wine. The wine was initial bottled in 1.5 liter “jugs.” According to Ellen Hawkes, Ernest Gallo wanted to change the Gallo reputation in the 1980s and in 1989 had even begun marketing a Hearty Burgundy Limited Release in 750 ml bottles in an attempt to remove it from the jug category. The wine was later retired for several years, but brought back in 2006 with a California appellation as part of Gallo’s new Twin Valley series of wines.